Based on the Huracan, Ares' new bespoke supercar blends retro and modern design elements with stunning results. Ares Design, an Italian coachbuilder founded by former Lotus boss Dany Bahar, has revealed a new low-production supercar with a retro-inspired design that’s heavily influenced by the . Codenamed ‘Project Panther,’ reports that the bespoke supercar rides on the same platform as the Lamborghini Huracan. Project Panther will be the first of several custom design creations to use the Huracan’s platform. Retro design cues from the Pantera include pop-up headlights and rear buttresses blended with modern flourishes such as LED daytime running lights, large wheels and handle-free doors. We think you’ll agree that the resulting design is extremely eye-pleasing. Powering the Ares Panther is the same 5.2-liter V10 engine as the Lamborghini Huracan with the same seven-speed dual-clutch transmission and all-wheel drive system. The Panther’s power output has yet to be revealed, but it’s expected to beat the Huracan’s 602 hp with mechanical upgrades so we can probably expect a 0-62 mph sprint time of around three seconds and a top speed of around 200 mph. 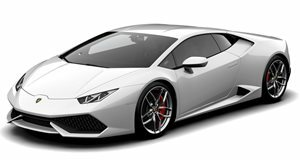 It will also inherit the Huracan’s lightweight aluminium and carbon fiber chassis. Production of the Ares Panther will take place at the coachbuilder’s new facility based in Modena, Italy, early next year. No production cap has been confirmed, but expect the Ares Panther to be built in very limited numbers to retain its exclusivity to buyers. “Our new facility in Modena works perfectly for the growing market of special requests from car enthusiasts and Project Panther is the first of a portfolio of cars – and other surprises - that we will be presenting at an official opening in January,” said Dany Bahar, founder and CEO of Ares Design. Production of the Ares Design’s other will also be handled at the Modena facility along with 53 bespoke Land Rover Defenders. While the Panther represents Ares’ current range-topper, it could soon be superseded by a more powerful model within 12 months as Bahar hinted that “there is much more to come” in 2018 as part of the company’s aim to become a global leader in bespoke car creations. Currently, the Ares Panther is undergoing design, aerodynamic, and crash-test engineering assessment before reaching customers in the second half of 2018.